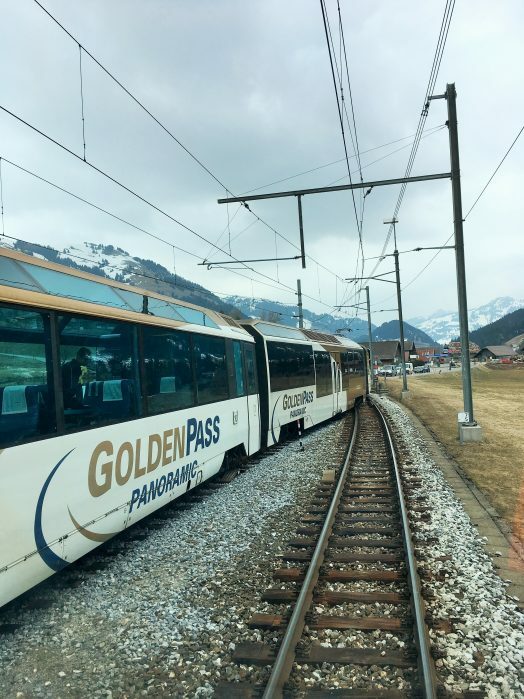 The Golden Pass was my third day of using the Swiss 4 x Day Consecutive Pass and although this train starts in Montreux, I’ve embarked in Brig and transferred in Spiez without any difficulty simply by showing my Pass. Lovely scenery along the way with the Alps in the background; though a bit overcast on the day, this journey still attracts a huge following regardless of the season in Switzerland. 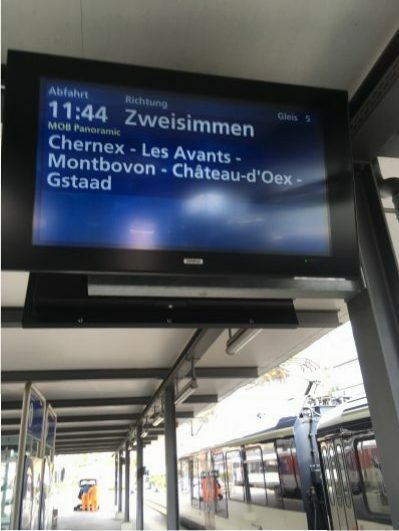 From Montreux to Lucerne and vice verse, there are three separate trains, all connecting with each other and each run by a different private operator: Montreux to Zweisimmen by the Montreux-Oberland Bernois Railway (metre gauge), Zweisimmen to Interlaken on the Bern-Lötschberg-Simplon (BLS) Railway (standard gauge) and Interlaken to Lucerne on the Brunig Railway operated by the Zentralbahn (metre gauge). 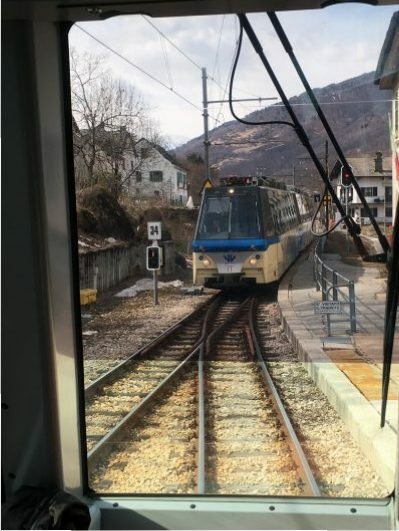 As with other tourist trains, reservations are necessary if you want to travel in the panoramic tourists cars on the key departures, but regular trains run frequently over the same route and these need no prior reservation. A little swap over of lines. 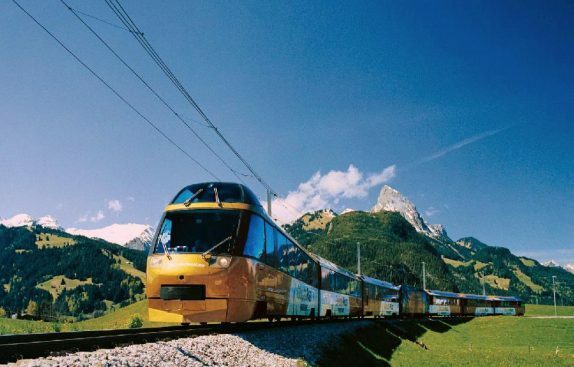 This is a mainly narrow-gauge route from Montreux to Lucerne via the well-known ski resort of Gstaad. 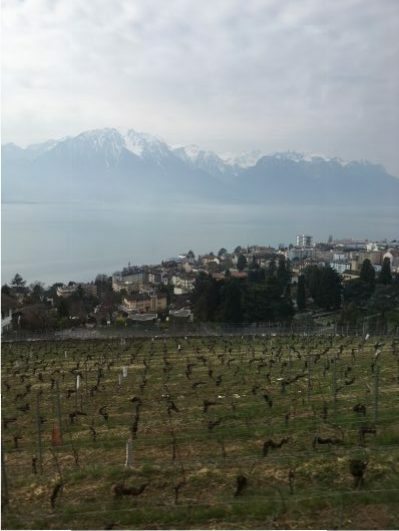 It’s slower than using mainline trains between Montreux, but very scenic and marketed to tourists as the Golden Pass route. Front row seats need to be booked in advance and worthy of the cost. 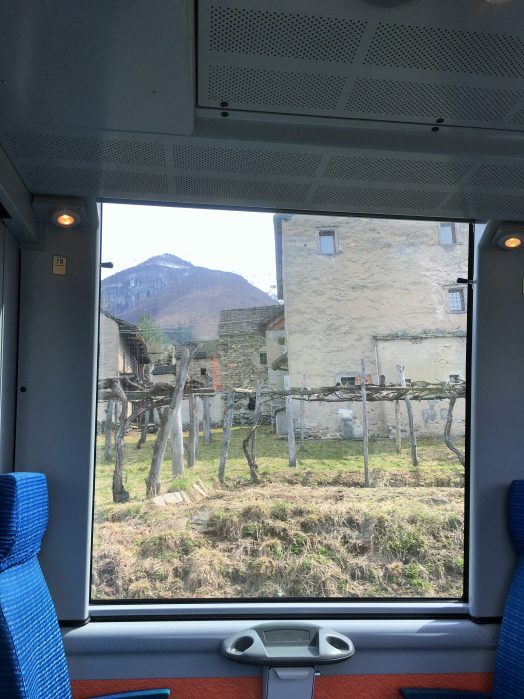 What a great way to spend the day, watching the world go by, sip a glass of vino from local Swiss regions and have a bite to eat either on the train (needs to be booked in advance), or stop along the way and visit one of the quaint townships.